It had been a little while since I'd taken our little guy to SeaQuest. So we picked a day and went. I'm so glad we did, they have changed or added lots of things since we went last time. 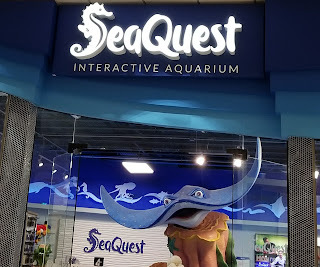 If you haven't been to SeaQuest, it's basically an aquarium located in a mall. There are so many things to do and see. There are fish of all kinds, caymens, turtles, birds, iguanas, lizards, snakes, and sting rays. You can look at all of these and more, but the really fun thing about SeaQuest is that you can interact with almost everything. There's even usually a large tortoise roaming free. 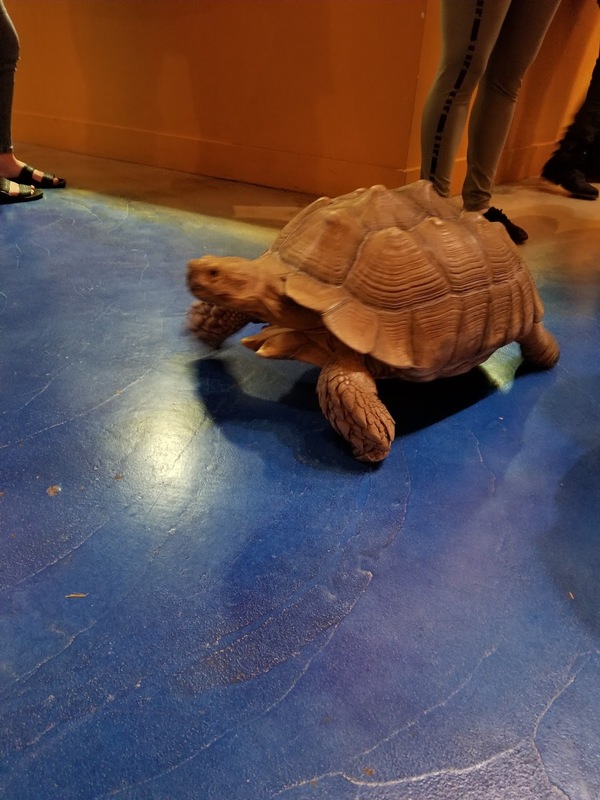 You can touch the things that are safe to touch and you can feed many of the animals, even the more dangerous ones. I forgot to mention the fish pedicures. I was able to get one last year, you can read about that here. 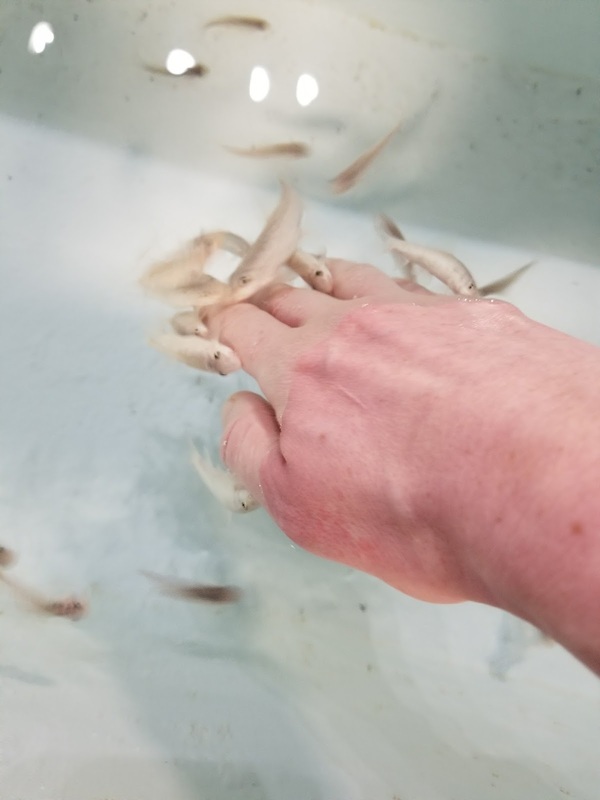 This year they've added fish manicures, and they're free. This was a lot of fun. 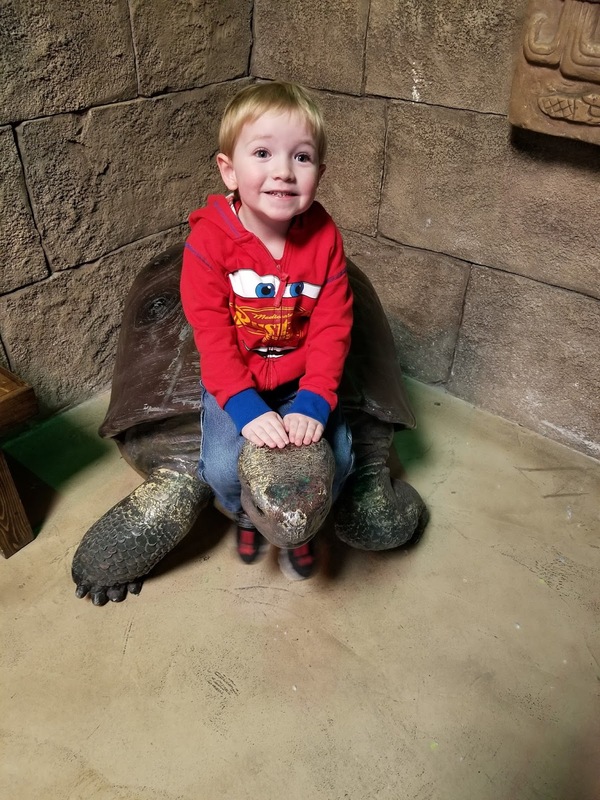 I not only took my little guy in the last couple of weeks, but our whole family went over the weekend and we had a lot of fun. Many things at SeaQuest are free, but the experiences usually cost at least a little bit. 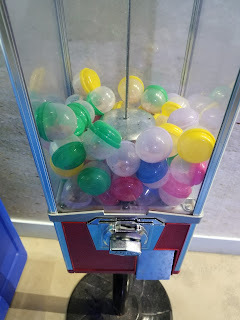 SeaQuest uses a token system. You buy the tokens and give them to the employees when you want to have an experience. For example, fish pedicures cost 8 tokens, most of the feeding experiences cost 1 token. Every time we've gone to SeaQuest, we've fed the birds. You can feed either the parakeets or the lorakeets. We've only fed the parakeets, but I got to watch someone feed the lorakeets and it looked fun! The lorakeets are a bit bigger bird and they can actually open the feeding cups on their own. The parakeets are fun to feed as well. It's funny to watch them swarm on the people with food and shove each other out of the way to get the food. I think you have to be a bit careful who holds the food when you feed the birds. Little kids could easily get scared and dump the cup. I don't think the birds would mind, but it's fun to see them on your hands and sometimes they even climb on your lap or even your head. 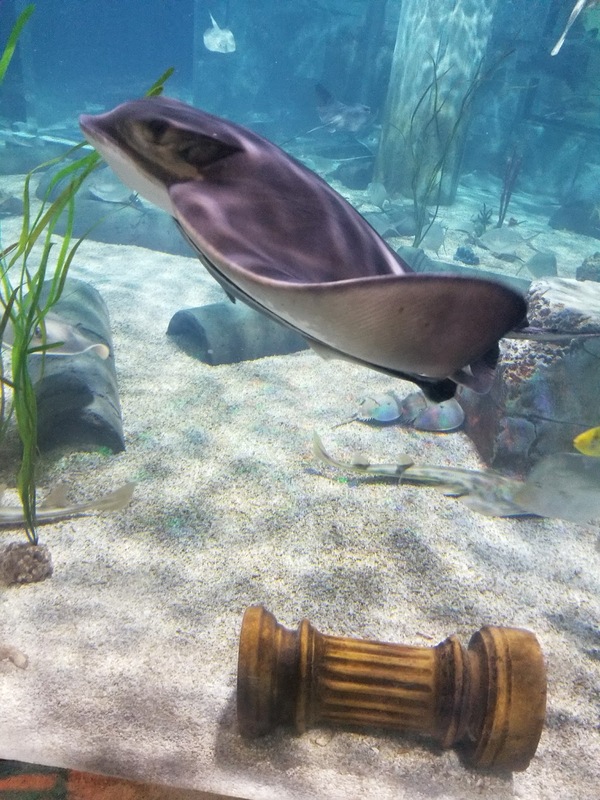 The stingray pool is always the place in SeaQuest where we spend the most time. We love watching them swim around and I love the way they look like they have a little face on the bottom of them. We did something this time that we've never done before. 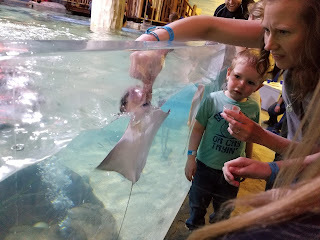 We fed the stingrays! I've touched them before, but I'm always a little intimidated to stick my hands by anything's mouths. This time I decided, why not! 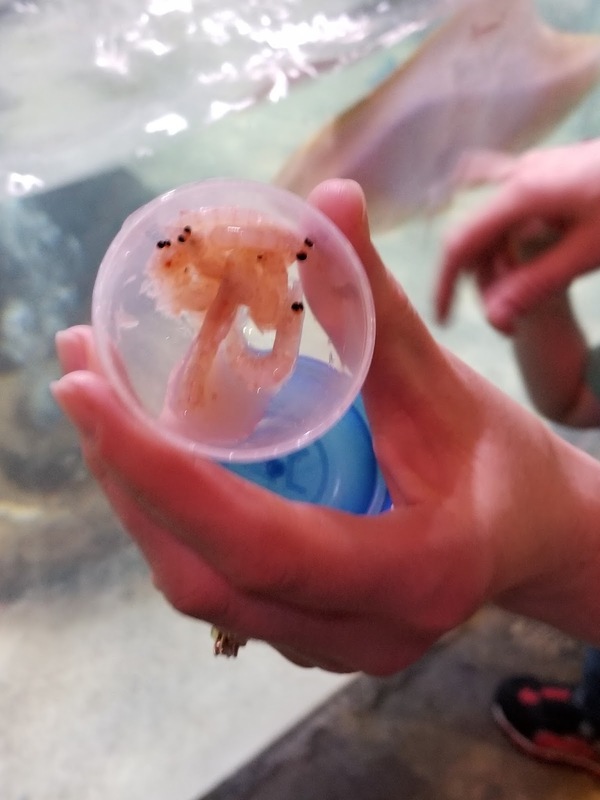 I touched the little shrimp that they feed them and everything. 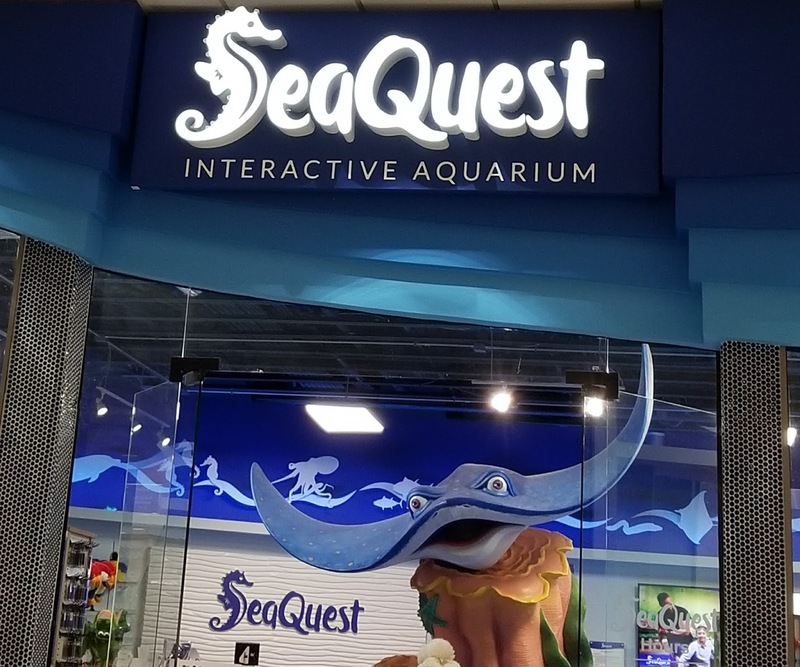 SeaQuest is such a great place to spend a little bit of time! I've loved working with them the last year or so. SeaQuest gave me a free family membership in exchange for an honest review. All opinions are my own.